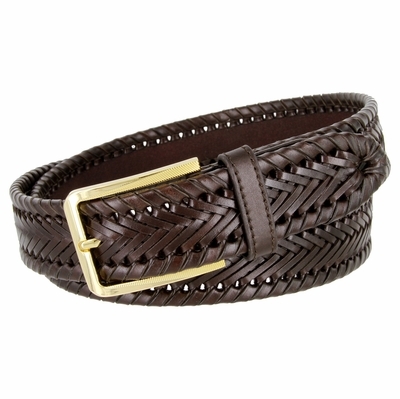 BL041-3550002 Directional Braided Woven Dress Leather Belt. 1-3/8" = 35mm Genuine Leather. Gunmetal Plated Buckle and Leather Loop.